Originally derived from the cooking world from the French word zeste meaning ‘orange or lemon peel’, zest is one of those words that has transcended its original intended usage. In the English language this word is applied to anything that has an enjoyable or exciting quality, and even an enthusiasm for life is described as ‘zest’. Here we go back to the earlier definition of zest and find out the many uses and properties of zest in citrus fruit, to discover what makes it so exciting. Zest, also epicarp, pericarp or exocarp, is the colourful outer part of the peel of a citrus fruit that is covered with numerous pits full of essential oils. 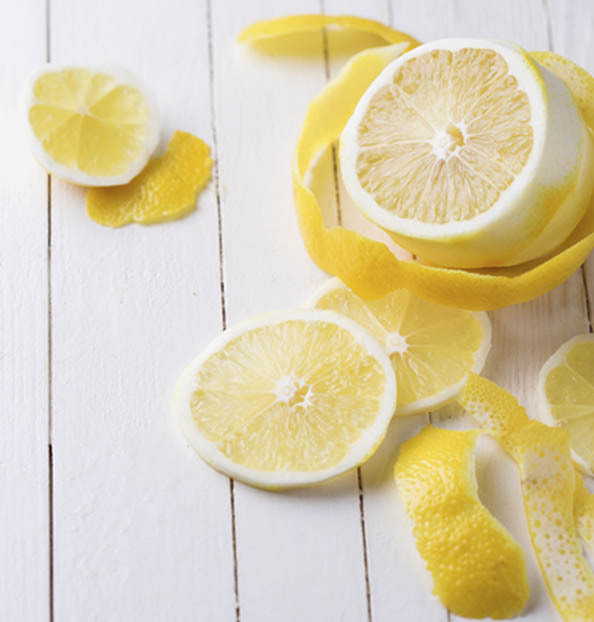 These oils are responsible for the wonderful burst of scent that’s released when you squeeze a lemon’s skin, or when you try to peel an orange, and are a concentration of the fruit’s flavour and aroma. It is the reason why it is an indispensable ingredient in the kitchen but not only, as seen with the oil of bergamot in the perfume industry and the numerous ways they are integrated into our common household products. In Italy there are records dating back to the 16th century of using citrus in cooking, as cooks integrated the sour orange (one of the first citrus fruits to arrive in Italy) in savoury dishes. The zest of the orange was known to be added to soups, stews, preserved for marmalades and candied. brighten up salad dressings – try it on some puntarelle! pasta is no exception – like a famous Italian actress once told the world of her cure-all dish: spaghetti with parmesan cheese, olive oil and lemon zest. The essential oils in zest play an important role in the perfume industry. In particular, the bergamot orange’s essential oil is a precious ingredient in many perfumes as it acts as a fixing agent making perfume last longer and brings all the different complex elements together.